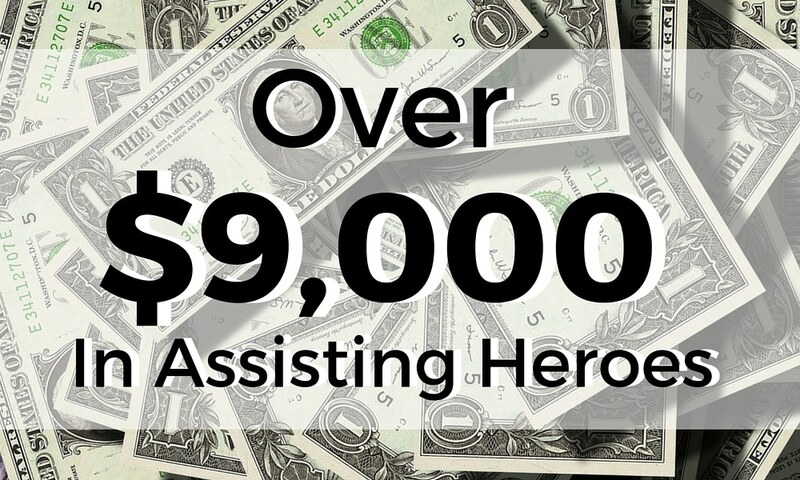 The month of May was a great month for the Homes for Heroes® Foundation and those it serves. After all of the numbers were submitted and added, the foundation was able to provide $9,274.54 in assistance to those in need. William Cahow, a Vietnam Veteran of Collinsville, OK, received $2,193.50 to pay late house payments which helped avoid foreclosure. Willam Grubs, a veteran with children from Mesa, AZ, received $2,000 to pay late house payments which helped avoid foreclosure. Jason Dodd, an active military personnel with a family who was recently deployed with delay of pay from Harpesville, NY, received $1,191.04 to make a house payment. Nicolas Findlow, a veteran of Wichita Falls, TX, received $1,365 to pay rent. Neil Moran, a Vietnam Veteran of Fredricksburg, VA, received $1,200 for two months of rent (HUD VASH). Regina Lopez, an active military personnel from Albuquerque, NM, received $950 for rent. John Martinez, a Vietnam Veteran from Burrhill, VA, received $575 to pay rent and electric bill.